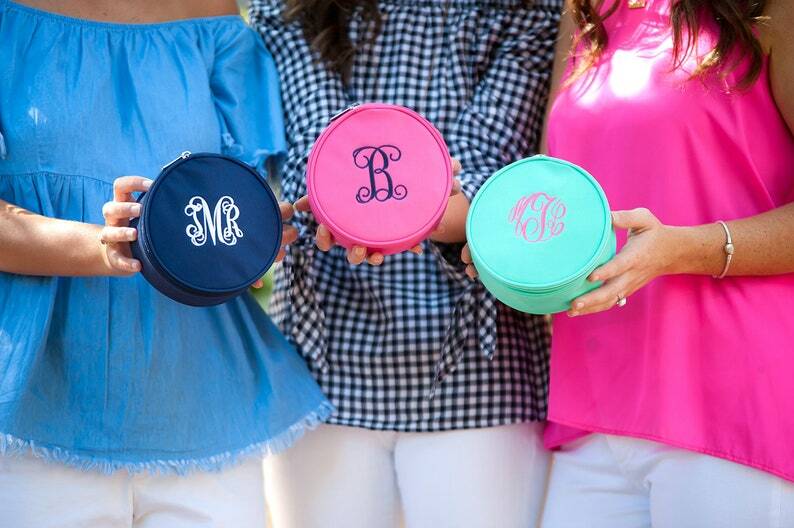 Our Monogram Jewelry Bag is perfect to keep all your jewelry items organized. 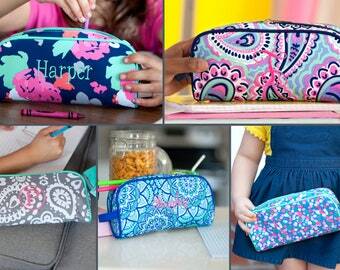 This jewelry bag is made out of polyester and super easy to keep clean. These will make a perfect personalized bridesmaid gifts! Great quality and beautifully embroidered. Such a cute jewelry case! Perfect for my travels! Case is sturdy and monogram is perfect! This is my 2nd order! Love it! Great size and good quality! Would definitely recommend!